Python is a popular multi-purpose coding language. Many beginners turn to Python for its simple syntax and readability. This is also why it’s the language of choice for a lot of beginner-friendly training. Python is also used by multiple big-name corporations including Google. If you’re new to coding, Python is a good choice. Its simplicity makes it very easy to grasp the fundamental concepts of coding that all languages share. At the same time, it’s also a good versatile language that’s useful to know. Here are 5 of Code Conquest’s top Python training recommendations. There’s something from every category – free and premium, online and offline, basic and extensive, hands-on and theoretical. Guaranteed, one is the perfect training for you. Python 3 Essential Training is a beginner Python course from lynda.com. There are 19 chapters covering all the major features of Python 3 – including syntax, regular expressions, classes, file I/O, debugging and much more. The training concludes with a small project in which you’ll build a database application with the help of SQLite 3. Python 3 Essential Training is a great general introduction to Python. It will suit you if you’re currently a Python beginner, but want to move onto more advanced Python projects in the future. The free Python Track at Codecademy is an alternative introduction to Python that goes into less depth than the training from lynda.com. This training assumes you’re a total newbie who’s never seen a line of code before. There are 12 stages, each of which finishes with a very simple project that you can complete in a single sitting – which is perfect if you’re pressed for time. Topics covered include control flow, functions and classes. The track concludes with an introduction to file I/O. This training is ideal if you don’t consider yourself much of a coder, and you want to learn just enough to be code literate. Python Programming: An Introduction to Computer Science takes a different approach. 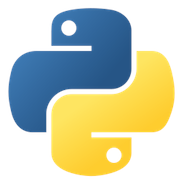 It purposely avoids Python-specific features, but instead uses Python to illustrate principles that apply to any coding language or environment. This is the book for you if you’re new to coding and you want a traditional computer science education that will prepare you for a range of different coding forms. It’s available in paperback. Think Python, part of the O’Reilly Series, is a beginner’s introduction to the Python coding language. It’s a hands-on guide and takes you through the language one step at a time. This book is for you if you’re a student or self-learner with zero coding experience and you want to learn Python as your first language. It’s available in paperback and Kindle editions. Learn Python the Hard Way is the training for you if you like to take the hard and fast approach. The package includes a paperback book of coding exercises, and even a CD with 5+ hours of video training. Zed Shaw promises that anyone can successfully learn Python through this book and CD, no matter how little coding experience you have. It may be a bit less leisurely than other training, but the benefit is you’ll master Python faster.